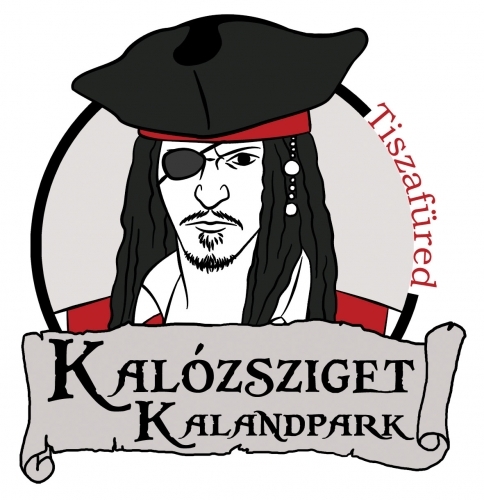 On one of the beautiful islands in lake Tisza in Hungary (directly opposite Lake Tisza Holiday Homes) a unique adventure world was created: the “Pirate Island” (“Kalózsziget Kalandpark“). 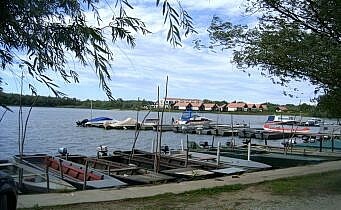 After booking in the visitor center at the ‘Tiszafured Varosi Kikoto “(the “town port”) you are ferried across to the island with a ferry or boat. 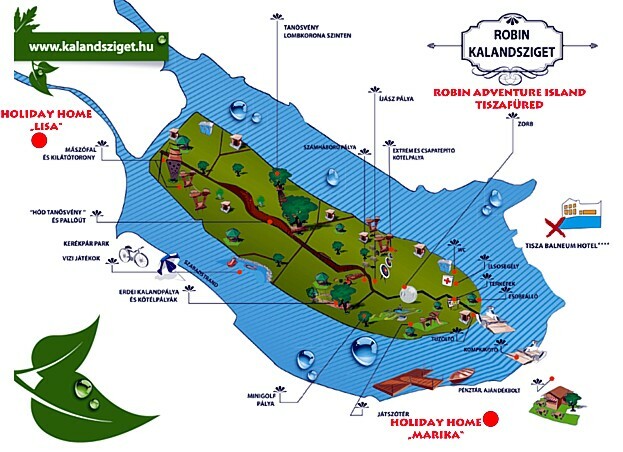 The Island is there not just for a walk, but there also no less than 140 sporting obstacles large and small (including a 15m high climbing wall, a 300m long “death ride” tree walks, archery, mini golf, water kangaroo for adults and children, a playground and much more).